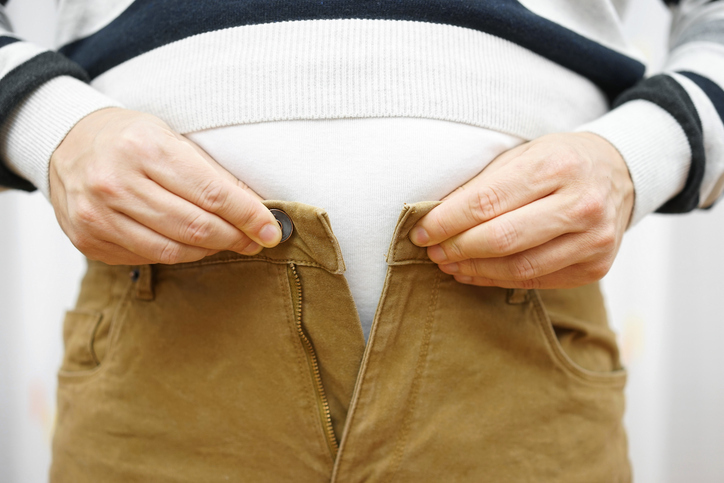 Most of us have experienced our clothes getting a little too tight from time to time. The lid was tight on the jar. Elizabeth had tight abs from all her workouts at the gym. These pants are tight; I need to lose some weight. We're on a very tight schedule, so we'd better hurry up. After a long day in the garden, Tania's back muscles were tight. Richard is so tight; he never pays his share when we go out. Teresa is getting rather giggly; I think she's tight. As a suffix, tight means that something is made or formed so that it can’t be penetrated by the noun that tight is a suffix to, for example: watertight or airtight. Tight, meaning ‘dense, close or compact,’ dates back to around the year 1400, as tyght, a late Middle English variant of the Middle English thight, which meant ‘dense, solid or tight.’ If we search for the origins of the latter, we can find an Old English suffix –þiht (the letter ‘þ’ is pronounced like the ‘th’ in three), which meant ‘firm or solid,’ though linguists agree that the adjective probably originated from both the suffix and the Old Norse þēttr or thēttr (meaning ‘solid, watertight or close in texture’). Both can be traced back to the Proto-Germanic root thinkhta– and the Proto-Indo-European root tenk– (‘to thicken or curdle’ and ‘to become thick’). It is related to the Middle High German dihte (dense or thick), the German dicht (dense or tight), and the Old High German gidigan and German gediegen (genuine, solid or worthy), as well as the Irish techt (curdled or coagulated), the Lithuanian tankus (close or tight), the Persian tang (tight) and the Sanskrit tanakti (draws together or contracts). The meaning of tight has varied over the years. The sense ‘drawn or stretched’ appeared in the mid-16th century, while ‘fitting closely’ (when speaking of clothes) is from the late 18th century. The sense ‘evenly matched,’ when referring to a contest, is from the early 19th century, as is the slang meaning ‘drunk.’ The figurative sense to describe intimate or close friendships appeared in the mid-20th century. Tight has been used as an adverb since the mid-17th century, particularly in phrases like sit tight (early 18th century) and sleep tight (mid-19th century). Its use as a suffix is actually older than the adjective itself, and maintains the original Old English sense.